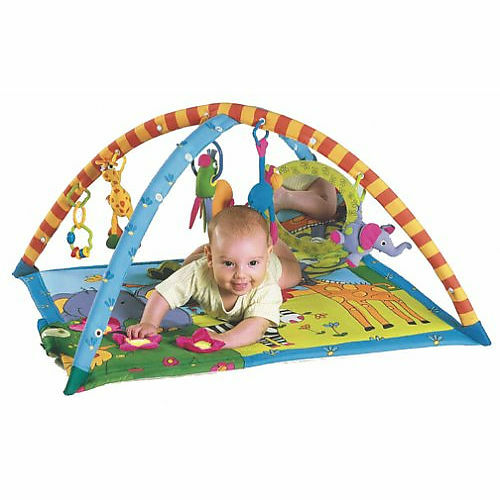 Stimulate your newborn senses with activity plays and small gyms. 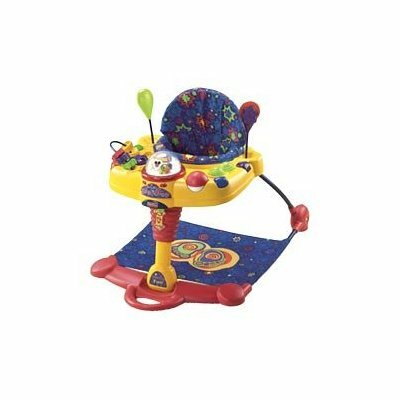 Fun New born Activites Zone. 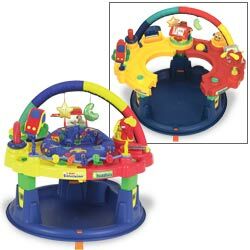 Top Playable play zone for newborns product selection. Hanging toys, mirror, textured fabrics and more. 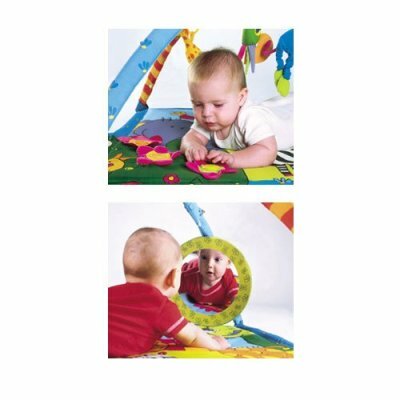 Teether, toys, mirror and cushy book engage Baby. Activity Star features. Soft, colorful mat with fleece border for newborn through infant; prop-up pillow for tummy time. Musical aquarium with lights, swimming creatures, six classical melodies, 3 modes of play. 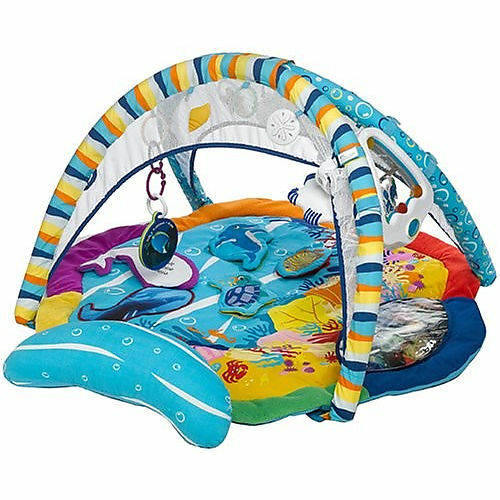 Includes dangling toys, mirror, water-filled pat mat. Parent can activate five minutes of continuous play. 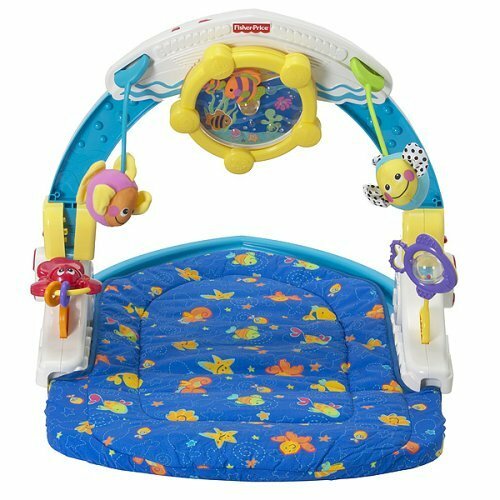 Once infant's ready to sit up, the toy bar easily swings down and the "aquarium" becomes the steering wheel. 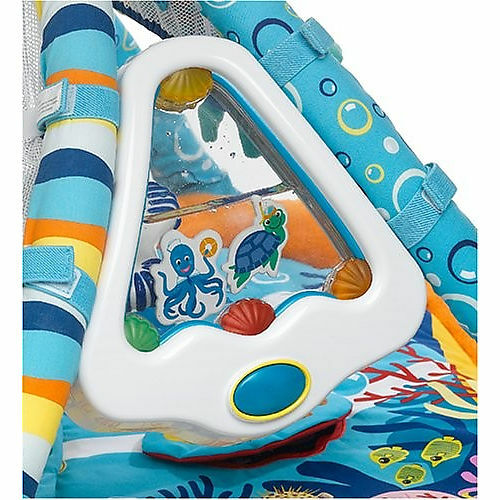 Includes removable fishy friends with rattle and jingle ball, lobster and fish teethers. 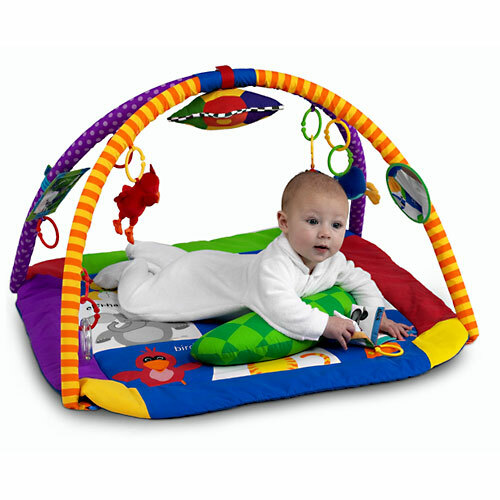 As Infant lays under this LeapStart Learning Gym by LeapFrog, his batting, pulling and grabbing is rewarded with flashing lights, world melodies, animal sounds, classical music and more. As Baby grows, this Learning Gym transforms a hands-on learning. 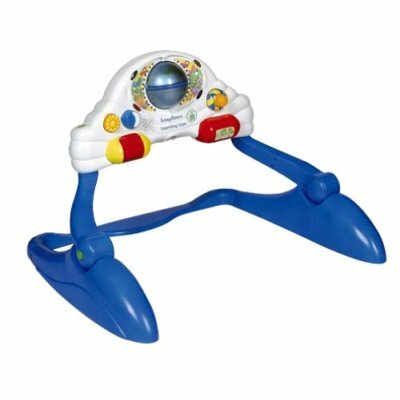 Seven fun toys stimulate tactile and auditory skills. Seat adjusts to 3 different heights for baby's comfort. Baby-activated modes include 5 fun songs. 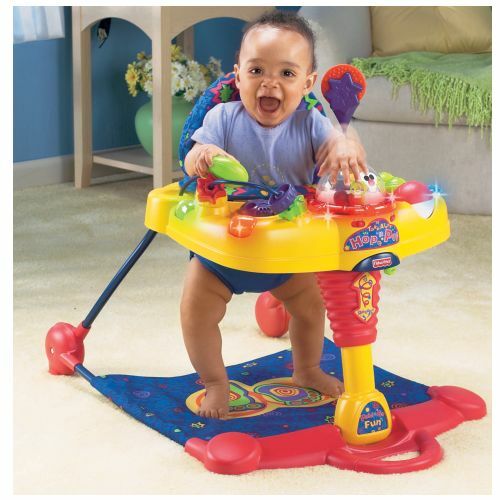 Baby activates by bouncing or playing with one of two toys on tray. Soft floor pad for comfort. Designed by Graco, the Little Tikes Convertible Entertainer activity center will grow with your infant from infancy through the toddler stage. 14 activities, including six transforming toys, are sure to keep your little one interested and active. Thrill your baby with encouragement and rewards for her effort. 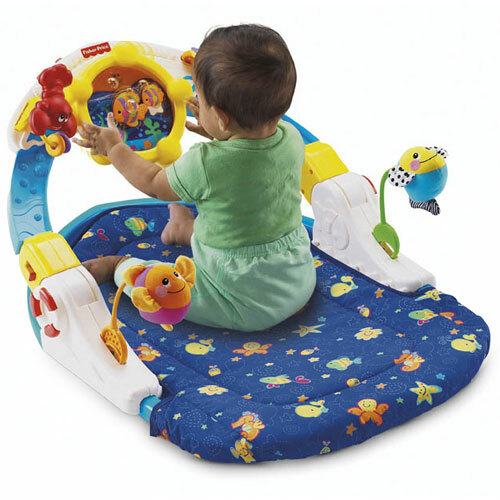 This colorful Activity Tunnel gratifies your baby's actions with engaging toys, spinners and clickers.